Title Insurance — Protecting The Owner or The Bank? Buyers, there is something you need to know about the title insurance you have to purchase when you buy a home! Title insurance is one of those things that every home owner purchases, but not every home owner knows what it is for, or who it protects. 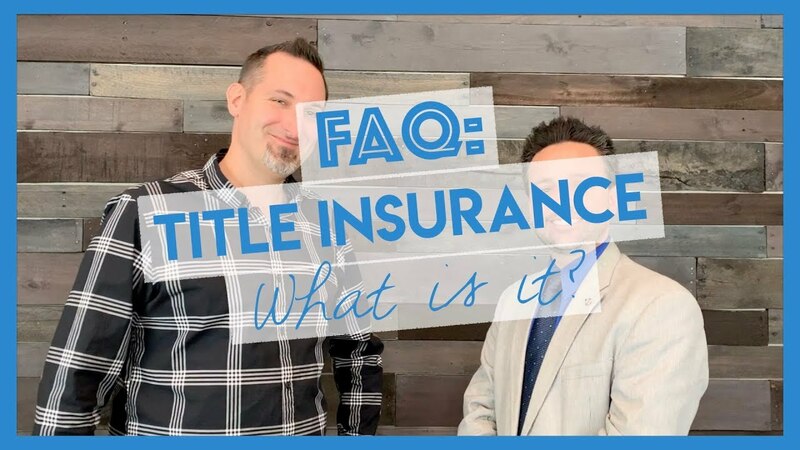 My buddy Joey, of Universal Title, and I got together to debunk some of the mystery around title insurance. Check it out! Title insurance protects a buyer’s possession in the property. Both the physical possession and the financial possession. Lenders require buyers purchase the lenders title policy on the lender’s behalf. Every lender requires that the buyer purchase the lenders policy up to the loan amount. Who does the Lenders Policy Protect? The Lenders Policy protects the lenders against any liens that are not found in the title search. It’s important to note that the lender’s policy does not protect the owners, at all. Is there insurance that protects the home owner? Yes, the Owner’s Policy! Although optional, in more than 99% of transactions the home owners purchase the policy. Generally speaking, it costs about 0.5%, so a half of a percent, of the purchase price. It’s a one time premium the owner pays on the day of settlement, and the policy is active for the lifetime of the home. How does the Owners Title Insurance Policy protect the Owner? The Owners Policy protects the owners against any liens or interest that is not found in the title search, for whatever reason. Most every member of this community – realtors, lenders, title companies – are already factoring this owner’s policy of title insurance into your closing cost because it’s protect’s your interest in the home.